Is there something in all your crafty goodness that you have a harder time using or just not sure how to use??? Well, this is me and the Mini Sequin Trim. It comes in 3 different colors....gold, black, and as you see here, silver. I have seen other people use it and I have tried but always didn't like the outcome of my creation. So I got it out again, determined to give it another try.....and I think it worked this time! 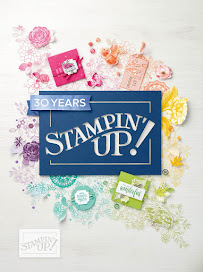 There are so MANY stamps in this set. I will be posting some more ideas that I had with this set in the coming blog posts. 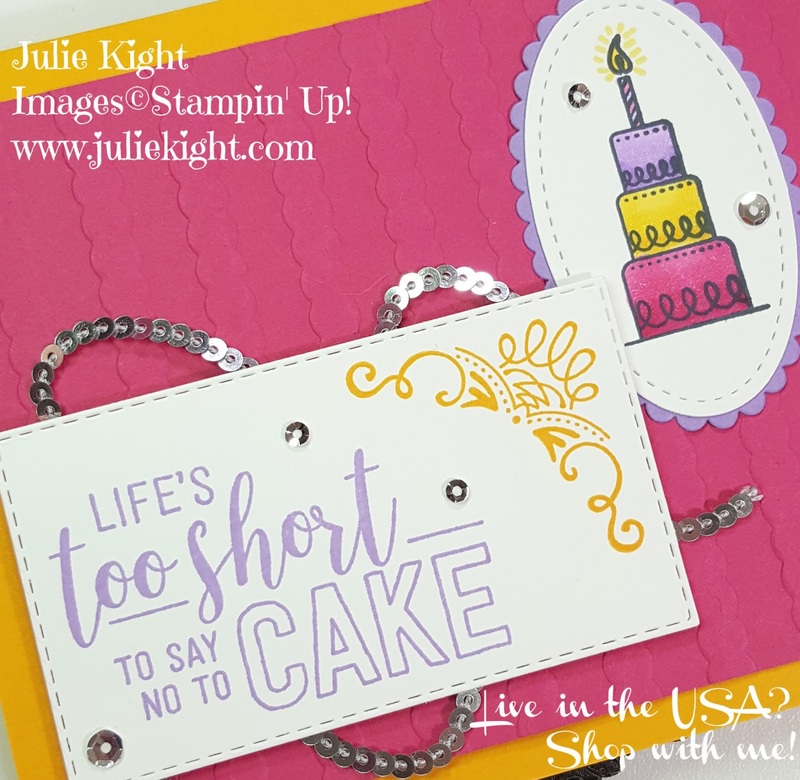 I wanted something bright and colorful for a birthday card and went with a more girly theme. 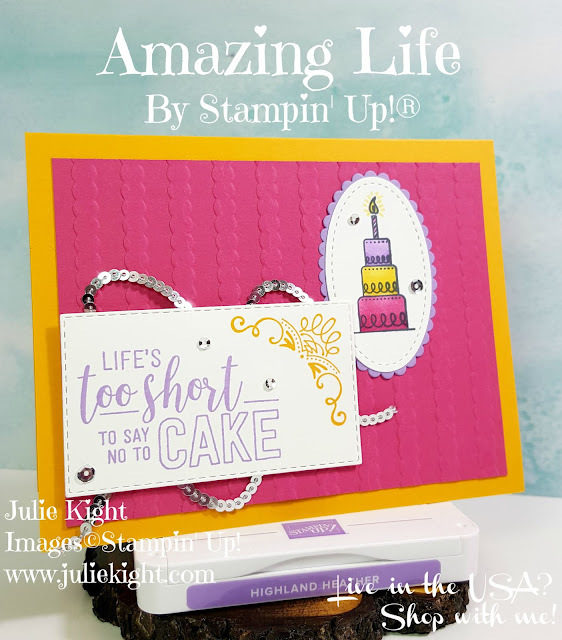 I used my Blends to color the cake and since there isn't a Melon Mambo combo yet, we want a Melon Mambo Blends combo Stampin' Up!, I used Lovely Lipstick which is very close in color. I wound the silver Mini Sequin Trim underneath the sentiment. I used Glue Dots to hold it down in places that would be under the sentiment. 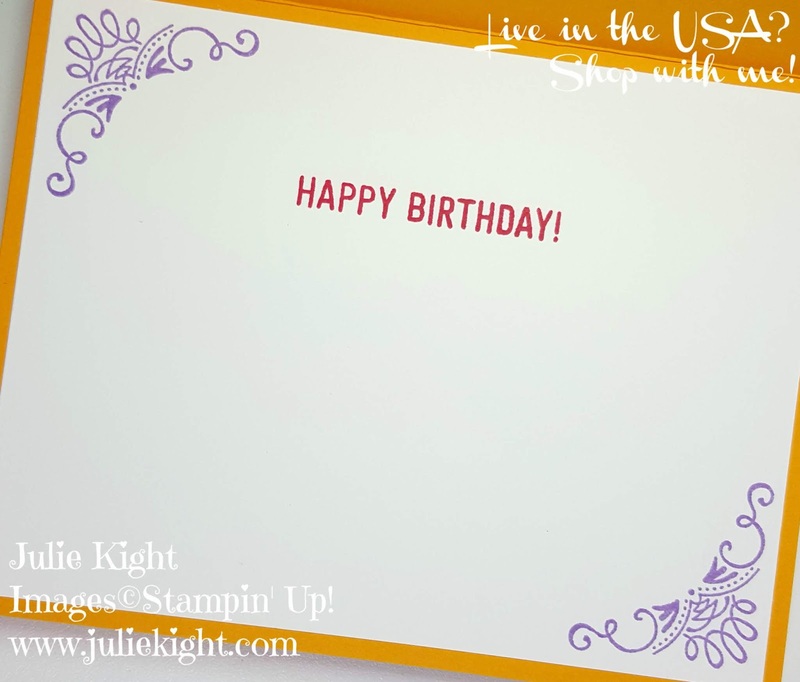 I included the colors inside with a fun sentiment and some corner stamping that mimicked the front. This is a fun, bright card that the birthday person would love to receive. Thanks for stopping by my blog today and I hope you have a good week!